Yordano Ventura died in an automobile accident at the age of 25 in his native Dominican Republic on Jan. 22, 2017. Ventura married his wife, Maria del Pilar Sangiovanni, prior to the 2016 season. He was a member of the World Series champion Kansas City Royals in 2015. He participated in league-wide charitable efforts, such as a calendar shoot for Braden's Hope for childhood cancer research and the annual Gloves for Kids fundraiser. He also chaired the 2014 Baseball Equipment Day. Yordano had an up-and-down start to the year, but found his stride after the All-Star break…posted a 9-2 record with a 3.56 ERA in 15 starts after the All-Star break...was 4-6 with a 4.73 ERA before the Midsummer Classic...His nine victories after the All-Star break were tied for second-most in the A.L., behind only Houston's Collin McHugh (10)...also posted the sixth-most strikeouts (98) and 16th-best ERA (3.56) among starting pitchers...Went 9-1 with a 3.10 ERA (30 ER in 87.0 IP) with 33 walks and 91 strikeouts over his final 14 starts of the year...He was placed on the 15-day D.L. on June 19 with ulnar neuritis, missing 20 games…he also missed seven games due to a suspension from Major League Baseball for his part in an on-field incident at U.S. Cellular Field on April 23...Posted a 7-5 record with a 3.84 ERA in 14 starts at Kauffman Stadium…that included a four-game winning streak over five home starts from July 26 to September 2 when he allowed four earned runs in 33.0 innings (1.09) ERA...Recorded an 8-2 record in day games, holding the opposition to a .234 batting average...Went 5-0 with a 3.94 ERA in five starts against the American League East…the only A.L. East club he didn't earn a win against was the Yankees, defeating Toronto, Boston, Tampa Bay and Baltimore twice...Posted a 3.34 ERA and a .225 opponents' batting average in six Interleague starts, however he was 1-3 in those outings...Had three starts in which he recorded a career-high 11 strikeouts, including back-to-back outings on August 27 vs. the Orioles and September 2 vs. Detroit…he became just the third Royal to record 11 or more Ks in back-to-back starts and first since Kevin Appier did it in 1996..also fanned 11 in his final regular season start at Target Field on October 3...Recorded four outings in which he did not allow a run over 6.0 innings or more…including 7.0 shutout frames on May 19 in a 3-0 win over Cincinnati and September 28 in a no-decision at Wrigley Field...Named the Royals Pitcher of the Month in consecutive months (August, September/October)…he was 4-0 with a 3.41 ERA in August and 4-1 with a 3.14 ERA in September/October...Optioned to Omaha (AAA) following his start on July 20, a 10-7 loss to Pittsburgh, but returned to the active roster the following day when Jason Vargas was placed on the disabled list...Started five postseason games, recording 22 strikeouts in 21.0 innings...his strikeout total tied for seventh among all postseason participants…tied for second-highest in franchise history, behind Edinson Volquez (23)...He's made nine career postseason starts before the age of 25, the second-most in Major League history behind Atlanta's Steve Avery, who made 10 postseason starts between 1991-93...Tallied a postseason-high eight strikeouts in 5.0 innings in Game 4 of the ALDS at Houston...Also allowed just one run over 5.1 frames in Game 6 of the ALCS vs. Toronto, but did not factor into the decision after the Jays tied the game in the eighth. Yordano produced one of the best rookie seasons by a pitcher in Royals history, going 14-10 with the A.L. 's 10th-best ERA at 3.20...Became the fourth Royals rookie to make 30 or more starts, joining Steve Busby (37 in 1973), Dennis Leonard (30 in 1975) and Rich Gale (30 in 1978)...His 14 wins tied Rich Gale (1978) for fourth all-time among Royals rookies and were the most since Tom Gordon set the KC record of 17 in 1989...He led A.L. rookies with 22 quality starts, also a Royals rookie record…recorded 11 straight quality starts from July 25 to September 23, a club rookie mark and the longest stretch by any KC hurler since 2002-03...Led Major League rookies in innings and opponents average...Finished second in ERA, wins and strikeouts...Posted the third-most strikeouts by a Royals rookie and most since 1973...Finished 8-3 with a 3.18 ERA on the road…the eight wins rank second by a Royals rookie, trailing only club Hall of Famer Steve Busby, who had nine in 1973...Pitched well down the stretch, going 7-2 with a 2.63 ERA over his final 12 starts...Set club rookie records for April in both ERA (1.50) and strikeouts (31)…the ERA was the third-best by a Royals rookie in any calendar month...Earned his first Major League win on April 15 at Houston, striking out seven over 7.0 innings...Tossed 8.0 scoreless innings on April 25 at Baltimore to earn a 5-0 victory...He scattered seven hits with eight strikeouts...Collected a season-high 10 strikeouts at San Diego on May 4, but did not factor into the decision...Tabbed the Royals' No. 2 prospect in the organization by Baseball America prior to the 2014 season...Made four postseason starts and five overall appearances, which included two World Series starts...His 25.1 innings pitched in postseason play topped all KC hurlers...Recorded his only postseason win in Game 6 of the World Series, tossing 7.0 shutout frames...Became the first Royals rookie to win a Fall Classic game...Allowed just 2 runs in 12.1 innings (1.46 ERA) during the World Series...Allowed one run on five hits over 7.0 innings in Game 2 of the ALDS at Angel Stadium, but did not factor into the decision in KC's 4-1 win in 11 innings. Yordano made his Major League debut on September 17 vs. Cleveland after splitting 25 starts between Northwest Arkansas (AA) and Omaha (AAA)... Named the Royals' Paul Splittorff Pitcher of the Year, which is awarded to the organization's top pitcher... Started three games for KC...held opponents to a .224 average, going 0-1 with a 3.52 ERA (6 ER in 15.1 IP)... Debut included a fastball clocked at 102.8 mph, the fastest pitch thrown on record by a starting pitcher in 2013... Took no-decisions in first two starts, leaving with the lead in both games...allowed one run on seven hits in his first 11.1 frames... Opened the season at Northwest Arkansas before being promoted to Omaha on his 22nd birthday, June 3...recorded a combined 155 strikeouts, which tied for 13th among minor league pitchers at all levels... Posted a 3-1 record and a 2.76 ERA (13 ER in 42.1 IP) and 45 strikeouts after the All-Star break at Omaha... Earned Texas League All-Star honors, but did not pitch in the game due to his promotion to Triple-A... Recorded the final out for the World Team at the SiriusXM Futures All-Star Game, which marked his second-straight appearance at the event. Yordano had a breakout campaign in 2012, beginning the season with Wilmington where he struck out 98 in 76.1 innings...Named as a Carolina League All-Star and tossed a scoreless fifth inning working around a 1-out walk and a pair of stolen bases with a strikeout...Was the starting pitcher for the World team in the SiriusXM All-Star Futures Game in Kansas City on July 8...tossed a perfect bottom of the first inning inducing three groundouts...Promoted to Double-A Northwest Arkansas following the Futures Game and made 6 starts there, allowing 4 or fewer hits in the 5 of the 6 starts...Rated by Baseball America as the fourth-best prospect in the Royals organization entering 2013. January 22, 2017 Kansas City Royals RHP Yordano Ventura died, January 22, 2017. June 28, 2016 Kansas City Royals activated RHP Yordano Ventura. June 18, 2016 RHP Yordano Ventura roster status changed by Kansas City Royals. July 22, 2015 Kansas City Royals recalled RHP Yordano Ventura from Omaha Storm Chasers. July 21, 2015 Kansas City Royals optioned RHP Yordano Ventura to Omaha Storm Chasers. July 9, 2015 Yordano Ventura roster status changed by Kansas City Royals. June 26, 2015 Kansas City Royals sent RHP Yordano Ventura on a rehab assignment to Omaha Storm Chasers. June 18, 2015 Kansas City Royals placed RHP Yordano Ventura on the 15-day disabled list retroactive to June 13, 2015. Right ulnar nerve inflammation. May 8, 2015 Kansas City Royals placed RHP Yordano Ventura on the 15-day disabled list. April 30, 2015 RHP Yordano Ventura roster status changed by Kansas City Royals. September 17, 2013 Kansas City Royals selected the contract of RHP Yordano Ventura from Omaha Storm Chasers. July 19, 2013 Yordano Ventura roster status changed by Omaha Storm Chasers. July 12, 2013 Omaha Storm Chasers placed RHP Yordano Ventura on the temporarily inactive list. June 3, 2013 RHP Yordano Ventura assigned to Omaha Storm Chasers from Northwest Arkansas Naturals. 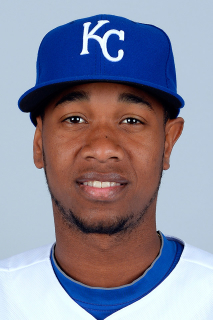 January 9, 2013 Kansas City Royals invited non-roster RHP Yordano Ventura to spring training. August 24, 2012 Yordano Ventura roster status changed by Northwest Arkansas Naturals. August 19, 2012 sent RHP Yordano Ventura on a rehab assignment to AZL Royals. August 11, 2012 Northwest Arkansas Naturals placed RHP Yordano Ventura on the 7-day disabled list retroactive to August 8, 2012. July 9, 2012 RHP Yordano Ventura assigned to Northwest Arkansas Naturals from Wilmington Blue Rocks. April 2, 2012 Yordano Ventura assigned to Wilmington Blue Rocks. July 27, 2011 RHP Yordano Ventura assigned to Kane County Cougars from AZL Royals. July 14, 2011 Yordano Ventura assigned to AZL Royals from Kane County Cougars. May 14, 2011 Yordano Ventura assigned to Kane County Cougars from AZL Royals. June 21, 2010 Yordano Ventura assigned to AZL Royals from DSL Royals. May 29, 2009 DSL Royals signed free agent Yordano Ventura.